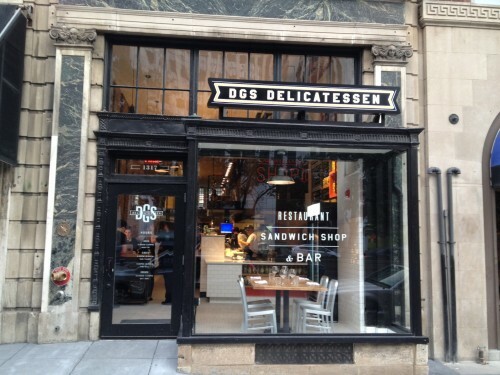 DGS Deli opened up back in 2012. Little Sesame opened up in the basement in January 2016. DGS is located across the street from The Chickery who recently flew the coop and down the block from Red Apron Burger Bar which closed last September. Ed. Note: Fortunately, while a bit of a schlep, the best classic pastrami sandwich remains available at Parkway Deli in Silver Spring. Like Petworth’s borders I will not budge on this proclamation.